Our Syracuse tractor trailer and truck accident lawyers will tell you, with great assurance, that the answer is usually “no”, bad weather is NOT an excuse for a tractor trailer or truck driver to cause an accident. New York Vehicle and Traffic Law requires all motorists – including truck and tractor trailer drivers – to moderate their speed so that it is SAFE FOR THE CONDITIONS. Almost all New York tractor trailer and truck accidents that occur in bad weather are caused by the driver going too fast for the conditions. A careful driver should be able to avoid accidents in rain, snow, sleet, fog or icy road conditions, period! Commercial drivers of big vehicles such as semi-trailers or 18-wheelers are supposed to be trained to deal with bad weather, including sleet, rain snow, fog and icy road conditions. 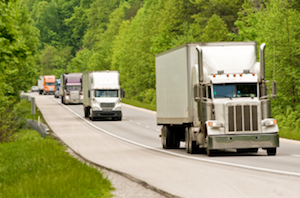 Truck drivers are bound to hit bad patches of whether during their 70-hour-a-week driving job. That’s why they are trained – and should know – how to determine proper speed for the conditions, and more importantly, when they need to pull over and wait for the bad weather to pass. The problem often is that even though they KNOW what the prudent speed is and they KNOW when to pull over and wait, they don’t drive at a prudent speed and don’t pull over. Why? Money. They are often paid by the trip, not by the hour, and even if they are paid by the hour, they may be under pressure by “management” to “ride the storm” so as to save company money. 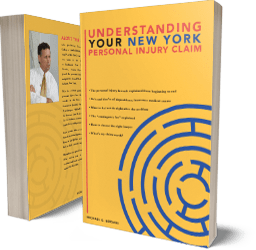 When our Syracuse tractor trailer and truck accident lawyers sue trucking companies for injuries caused during snow storms (there are a lot of those here in upstate New York! ), one of the first things we demand from the trucking company is the delivery schedule of the driver. This will usually show a busy schedule of deliveries to be made. We don’t have to rely on the driver’s testimony regarding his speed; we can find that through the truck’s “black box”. When you add up this evidence, plus evidence of the weather, we can usually prove that the driver was going to fast for the conditions. Extreme caution in the operation of a commercial motor vehicle shall be exercised when hazardous conditions, such as those caused by snow, ice, sleet, fog, mist, rain, dust, or smoke, adversely affect visibility or traction. Speed shall be reduced when such conditions exist. If conditions become sufficiently dangerous, the operation of the commercial motor vehicle shall be discontinued and shall not be resumed until the commercial motor vehicle can be safely operated. Anytime you are struck by a truck in bad weather, we can guaranty one thing: The truck’s insurance will blame the weather, not its driver. They call this “the act of god” defense. The defense goes like this: “God sent the bad weather. We can’t control that. Our driver did his best. Therefore, you were just a victim of bad weather, which is an act of god, not an act of our driver.” Our response? Nonsense! If you are injured by a truck or tractor trailer in bad weather conditions in Syracuse or anywhere in upstate New York, the tractor trailer and truck accident lawyers at Michaels & Smolak Victims would be happy to investigate the weather, the police reports, the truck’s “black box”, any skid marks or vehicle damage or other physical evidence, and then determine whether the driver was responsible for having failed to adhere to safe practices in bad weather. These types of truck accident cases can be complicated, and we often need to hire a meteorologist and an accident reconstructionist, but they are very winnable. And we like to win. So don’t hesitate to contact our Syracuse New York tractor trailer and truck accident lawyers for a free consultation.